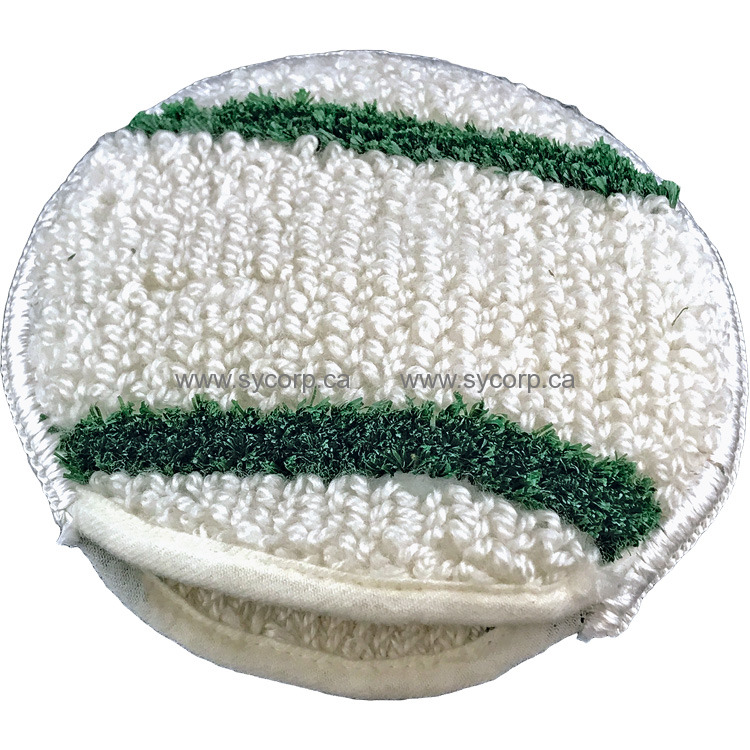 8" synthetic hand bonnet has agitation strips that help remove soils. Excellent for shampoo cleaning of durable upholstery, for use as a hand bonnet to clean stairs and along walls and can also be placed on small rotary tools for faster cleaning. Ideal for shampoo cleaning of upholstery fabrics, stairs and along walls. Bonnet with hand hole for maximum control provides absorption while two strips deliver necessary agitation.